Tchaikovsky in this ballet unleashed his imagination, as well as the artistry of colorful sound recording and spectacular decorativeness. Importantly, the ballet-extravaganza (this is the term to be used) based on the French fairy tale reflect the very essence of the composer’s personality – the element of Russian soul! The Sleeping beauty Suite from the ballet is an absolutely self-sufficient, fully-fledged symphonic work, created in the editorial office of Ziloti and Juergenson. In the interpretation of Maestro Stadler Tchaikovsky is incredibly bright, cheerful, brilliant and elegant. He managed to “seize” the necessary balance of equilibrium and harmony, because the music of “Sleeping beauty” captivates with its sensual fullness and emotional, amazing magic and fabulousness. 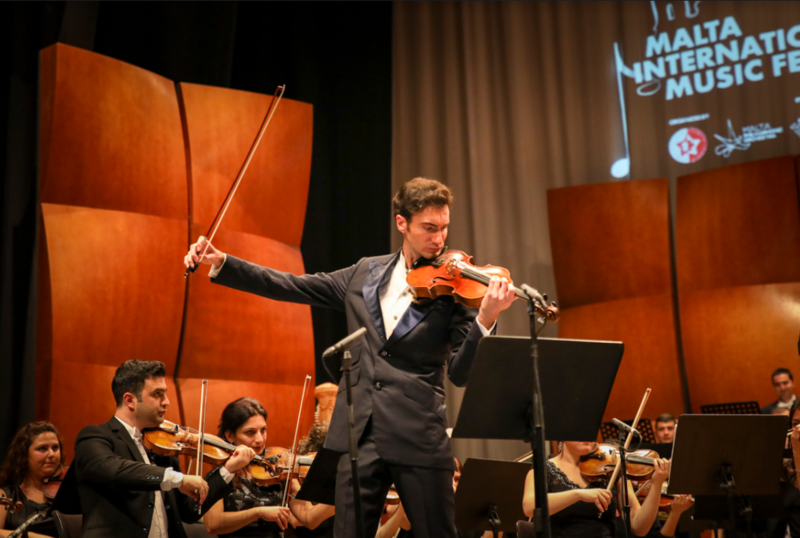 The musicians of the orchestra managed to immerse us in the world of romance, bright dreams and beautiful moments. The orchestra sounded very special in the Theme of the Lilac fairy – the culmination of the symphonic suite. One could feel everything: the gentle impetuosity, the powerful cascades of orchestral tutti, and the brilliance of the solemn sound of the winds. 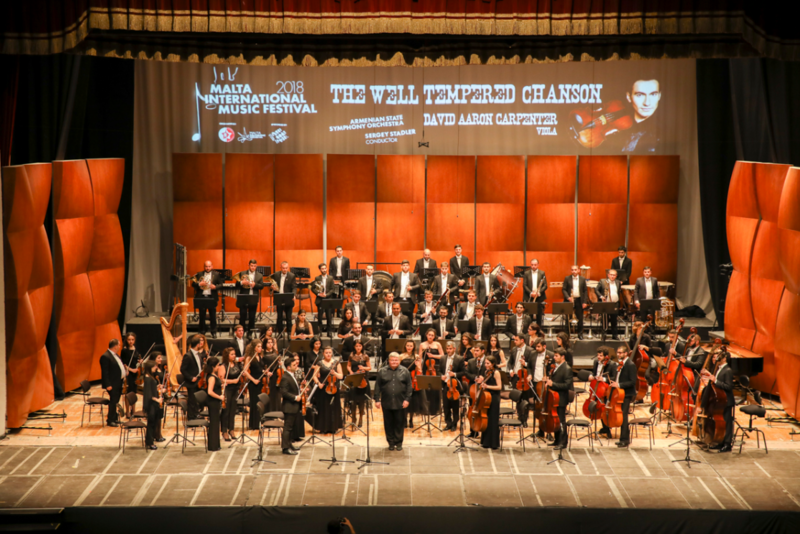 Now, when the festival in Malta has gained momentum, it is obvious that the European Foundation for Support of culture has created a kind of “Maltese miracle” and every evening the audience receives surprise gifts. The program of each concert is effectively combined, and the concerts themselves have “intriguing-enticing” names, for example, in Concerto Extravaganza harmoniously intertwined Baroque world with a modern musical interpretation of the philosophical theme of “Seasons” by the composer Alexey Shor. And today’s “Extraordinary Concert” is marked by a tribute to Tchaikovsky’s immortal creation, but Alexey Shor’s “Well-tempered chanson” instantly makes us change and move to another musical dimension! 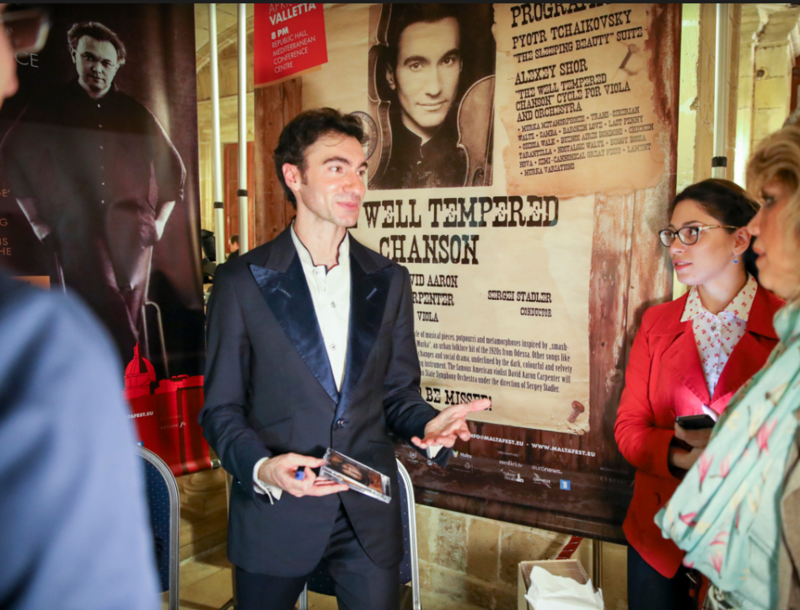 “Well-tempered chanson” was long-awaited by the MIMF followers, because it created a big interest – look at the name alone! However, what’s in this name? What’s the connction with Bach?.. The answer is that Alexey Shor and the world culture co-exist in unbreakable unity and this allows us to find amazing stylistic connections, splices, interactions, provided by the highest mastery of the composer. Special attention deserves the Chicken Tarantella. Known in ancient Spanish tradition, Tarantella, the magical dance that heals patients with tarantism. In Shor’s interpretation this becomes an urban folk song “Fried Chicken”… so many amazing parallels, analogies and associations!.. “Well-tempered chanson” really amazes both from the point of view of musical dictionaries of different eras, and of the artistic concept of the possibilities of the genre itself.